If you were investigated by a civil rights agency (like the EEOC), would you be in compliance with all legal requirements? Would an attorney representing a current or former employee be able to find any discriminatory practices by your management team? Are you prepared to address employee complaints without disrupting business, creating a significant financial impact, or making the situation worse? At California Labor Solutions (CLS), we take HR consulting to the next level by offering professional, full-service workplace investigations*. We stand by your side, providing expert guidance at every step along the way – from the initial complaint through the investigation and corrective action process. 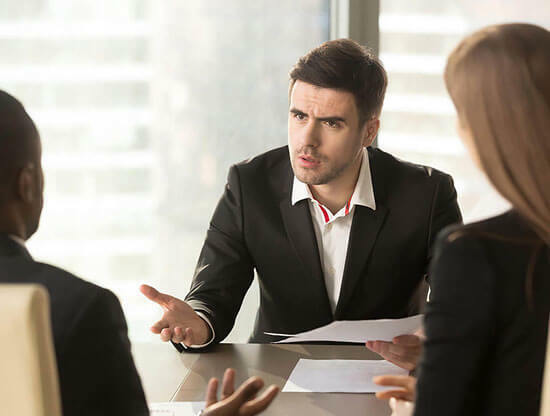 Different types of complaints require different initial responses, but all employee complaints need to be taken seriously – regardless of whether it’s accusations of harassment, discrimination, retaliation, ethical impropriety, or other claims. How you respond can help diffuse a tense situation, or it can add fuel to the fire. At CLS, our team blends experience with compassion to ensure you’re responding appropriately and strategically. We respond to internal employee complaints, union grievances, and government agency inquiries. Your ability to appropriately react to an employee complaint is dependent on your understanding of what really happened. Uncovering those facts, however, often requires the expertise of a neutral third-party investigator. At CLS, we conduct objective workplace investigations that do more than simply satisfy the “employer’s obligation to investigate.” Our investigators help bring the dispute towards a fair resolution and prepare a strategy for minimizing future risk. Employee complaints can be incredibly disruptive to the workplace and financially devastating to an organization – especially if they aren’t handled properly. After the investigation is complete, the goals shift towards negotiating a solution and resolving the issue, so all parties can move forward. At CLS, our team of highly trained, credible, and neutral mediators and facilitators help to clarify and resolve complex disputes. Once a workplace dispute is resolved, it’s time to implement a strategy for reducing the likelihood of a similar complaint in the future. At CLS, our investigative team and HR leaders use their combined expertise to develop solutions for the gaps that left you vulnerable in the first place.